All over the world, people are rising up to support their communities towards sustainability and collective liberation. This week we share about two grantees in Oakland California who have launched local businesses that support and empower marginalized communities. In Hawai'i, we funded a summer camp for homeless kids, and in the Ivory Coast we supported peace and reconciliation workshops for youth. This week, we are delighted to welcome these seven new grantees into our Pollination Project family. Promoting Peace and Reconciliation in the Ivory Coast. Offuh James is the founder of United For Peace Against Conflict International (UFPACI), an organization that promotes inter-community dialogue through educational theatre, workshops, and forums on ethnic and politically-motivated violence and human rights abuses in the Ivory Coast. Through UFPACI's Inter-Cultural Dialogue Reconciliation Outreach Project, Offuh and a team of volunteers organize reconciliation workshops for youth leaders from the country's major political parties. 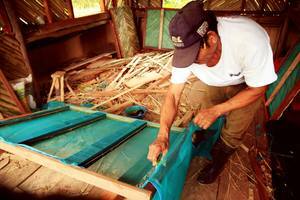 Permaculture Development in Rural Nicaragua. Ashley Busby is the founder of the CREA Foundation, a non-profit that promotes permaculture practices and community development in rural Nicaragua. CREA is working with residents from Peñas Blancas, a small agricultural community, in order to chart a sustainable, alternative future to dependence on foreign seed stocks and industrial mono-crop cultivation. Over the past few years they have created an organic farm and an alternative school for children from agricultural families in the area. Through their current project, the CREA Community Seed Library and Demonstration Greenhouse, they plan to support the development of a network of interdependent local organic farmers. Promoting Local, Pan-African Goods and Services in Oakland, California. Desire Johnson is an Oakland-native ARTivist participating of the Impact Hub Oakland Youth Fellowship program. She and her mentee, Erin Clark, have co-founded the Black Intergenerational Zeal (B.I.Z.) Stoop, a Black youth-run "Culture Broker Cooperative" based in Oakland, California. The B.I.Z. Stoop is a "recommendation repository," whose vision is to exponentially increase the life expectancy of Black youth beyond the age of 25 years - by way of access. Their mission is to retain high-opportunity youth from Oakland, and streamline them into prospective career paths. The B.I.Z Stoop will shift narratives with public health information; and provide on-hand serves for local businesses and non-profits. Indigenous Women Entrepreneurs in Oakland, California. 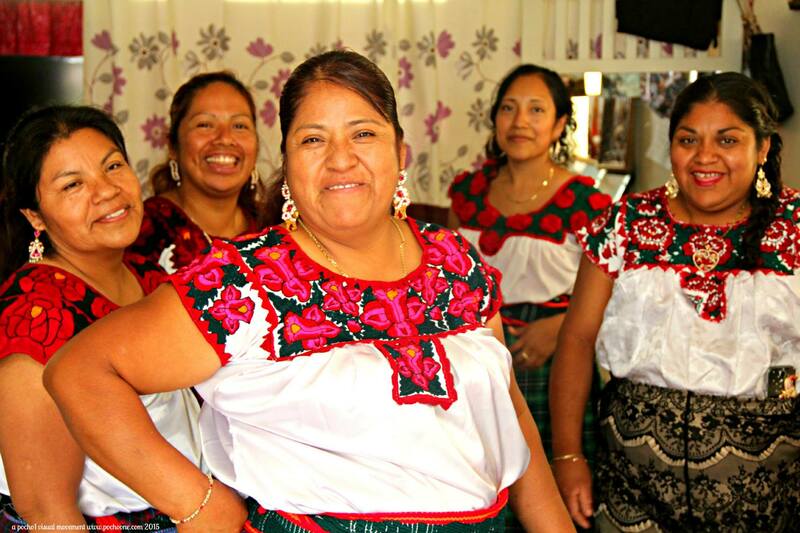 Linda Sanchez is an indigenous Zapotec leader from Oaxaca, Mexico working with migrant groups in Oakland, California. Through her most recent project, Fuerza Indígena, Linda is empowering low-income, indigenous Guatemalan migrant women living in Oakland's Fruitvale District to start their own ethically-sourced and eco-friendly indigenous clothing businesses.Ultimately, Linda hopes that Fuerza Indígena will help participating women reclaim their indigenous identities. 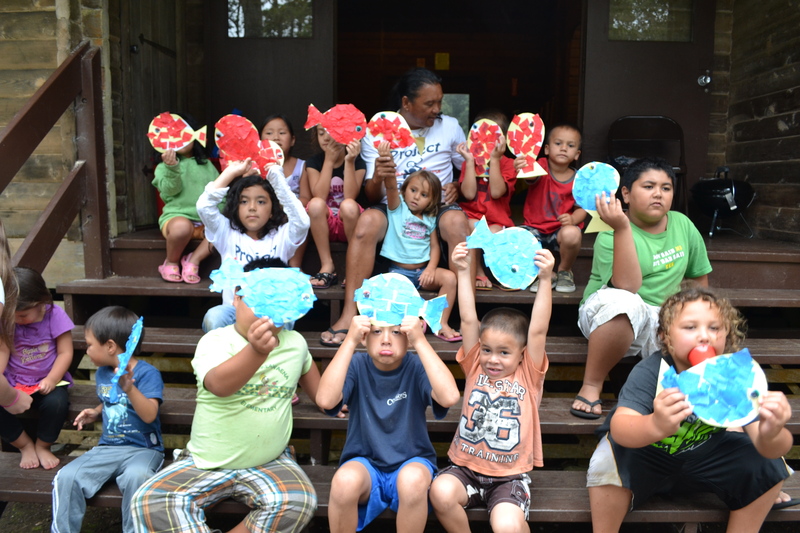 Summer Camp for Homeless Children on the Hamakua Coast, Hawai'i. For the past 6 years, Magin Patrick and Cliff Kama have helped countless homeless children living in Hawai'i through the Project Hawai'i Summer Camp. Every year at the Camp, homeless children are given the opportunities for growth and development that they are typically denied due to virulent discrimination that their families face on a daily basis. Children not only receive warm, healthy meals and a brief reprieve from daily stressors; they also receive mentorship from teen volunteers while learning tools to eventually escape the cycle of poverty. Want to invest in making impactful change on a grassroots level? Join our Daily Giving Community along with 50 others who have committed $1 or more a day to these grantees.